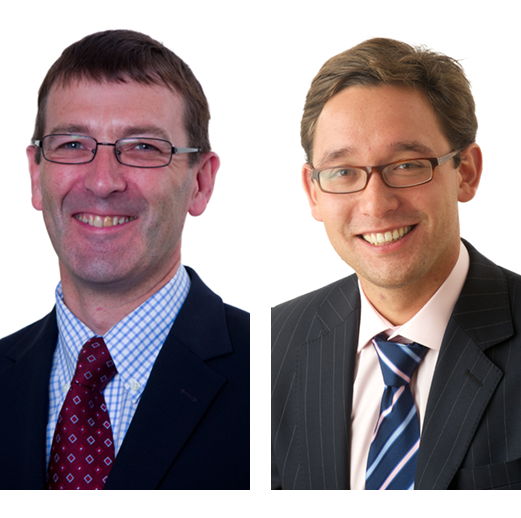 GORDON REID and KENJI BATCHELOR from the charities team at law firm BARLOW ROBBINS summarise the Charity Commission report into safeguarding at St Paul’s School and offer four questions governors can ask themselves to ensure they comply with their legal duties. The Charity Commission published the findings of its report in late 2015 into the safeguarding cases at St. Paul’s School which hit the national press. The publication of the Commission’s report (which can be found on the Commission’s website) was the culmination of its investigations into the school’s governance, which began in May 2014. The Commission’s enquiry followed and ran alongside the Metropolitan Police’s investigations into allegations of recent and historic sexual abuse at the school and the arrest of a schoolteacher on charges of the possession of indecent images of young people. The inquiry involved close liaison between the Commission, the Independent Schools Inspectorate (ISI) and the Local Authority Designated Officer (LADO) in respect of each of their investigations and findings. The Commission’s investigation was limited in scope to the conduct of the school’s governors in handling the various safeguarding issues from a charity law perspective. Specifically, the Commission investigated whether the governors had acted in the best interests of the school and ensured the school had, and complied with, appropriate procedures and policies to protect its pupils. Whilst this article will focus on the Commission’s findings, the full report should be required reading for governors and senior management teams (SMTs) as it contains a helpful summary of how the Commission conducts its inquiries and what it expects from schools in the course of the investigation. There was an extensive range of safeguarding policies and procedures in place. The senior management team undertook periodic reviews of policies. The governors instructed professional advisers to review the schools policies at appropriate times. An independent review was commissioned by the governors to assist the school in implementing best practice. Safeguarding training was scheduled for the governors. There was good safeguarding training for staff. A safeguarding reporting “prompt card” had been issued to all staff. Given the good behaviour of the governors set out above, many schools may find it surprising (and a little intimidating) that the Commission had anything left to criticise. The areas the Commission highlights as breaches or room for improvement provide lessons for all schools, not just for those in the independent sector. The good news is that for most schools learning the lessons of the report will mean minor touches to the tiller. However, the warnings should be heeded as the Commission is increasingly seeing its regulatory role as that of policeman and not friend of the sector. HOW DO WE KNOW OUR REVIEW OF SAFEGUARDING POLICY AND PRACTICE IS EFFECTIVE? The Commission’s report suggests an annual review of safeguarding, in itself, is not enough. The St Paul’s governors were criticised for not having a framework by which they could determine whether their safeguarding review was effective and, in checking the staff’s compliance with the policy, were relying too heavily on verbal reports from the SMT without corroborating them. In their oversight of safeguarding practice and policy, the board was advised by the Commission to draw up an audit and reporting template to agree the terms of reference, scope and methodology of their safeguarding reviews and ensure independent corroboration of SMT briefings by the inspection of a sample of records of serious cases, or by seeking feedback from the LADO or other agencies. IS IT CLEAR WHO DOES WHAT? In reviewing who conducted the oversight of safeguarding duties, the Commission found a disparity between the school’s safeguarding policy and practice. In theory, oversight was the responsibility of the designated safeguarding governor. In practice, the designated safeguarding governor oversaw safeguarding policy and practice together with the chair of governors but the division of their duties was not formally defined. The Commission’s report stated that this lack of clarity exposed the governors to the risk of mismanagement – a liability the governors would be collectively liable for. The Commission also cited the Independent Schools Inspectorate’s report which drew attention to confusion amongst the staff as to the reporting lines for concerns about pupils and staff. ARE WE ADEQUATELY REPORTING SERIOUS INCIDENTS TO THE CHARITY COMMISSION AND THE LOCAL AUTHORITY DESIGNATED OFFICER? The Commission’s guidance states that it should be notified as soon as a school becomes aware of a serious incident. The legal responsibility for reporting serious incidents rests with the governors even if they are delegating that work to the SMT. St Paul’s was criticised in the report for failing to promptly report various serious safeguarding incidents and for also failing to declare the incidents in its annual return. It is an offence under the Charities Act 2011 to knowingly or recklessly provide false or misleading information to the Commission. If governors delegate this work to others they should be aware that they still remain legally responsible. The Commission also criticised the fragmented relationship the school had with the LADO that had inhibited the proper reporting of issues at the appropriate time. Evidence was given that the school was aware of the breakdown but the issue was not formally recorded and no action was taken to improve relations. The Commission has published guidance for trustees and governors covering the reporting of serious incidents which should be on the reading list for any board unaware of its duty to report serious incidents. The local authority should also be contacted to ensure that your school’s safeguarding arrangements take into account local procedures and practice as well as the statutory framework and guidance. DO WE ANALYSE TRENDS AS WELL AS ISOLATED SAFEGUARDING INCIDENTS? The Commission advised that the St Paul’s board and senior management team were inhibited from making informed decisions regarding safeguarding because incidents were only ever considered incidents in isolation and not in the context of other incidents and wider trends. Your board should agree how the reporting of serious incidents is presented to the board to provide more detailed management information and allow better decision making. Given the legal and reputational risks that safeguarding issues present, not to mention the risk of harm pupils may be exposed to, the Commission’s report provides another timely opportunity for school governors to ensure that their policies and practice are reviewed and, where necessary, strengthened. Barlow Robbins' Gordon Reid and Kenji Batchelor - your board should agree how the reporting of serious incidents is presented to the board to provide more detailed management information and allow better decision making.
" The Commission's report suggests an annual review of safeguarding, in itself, is not enough. " " The Commission...cited the Independent Schools Inspectorate's report which drew attention to confusion amongst the staff as to the reporting lines for concerns about pupils and staff. " © Mitre House Publishing 2016. Content may not be reproduced unless with permission or by a search engine.